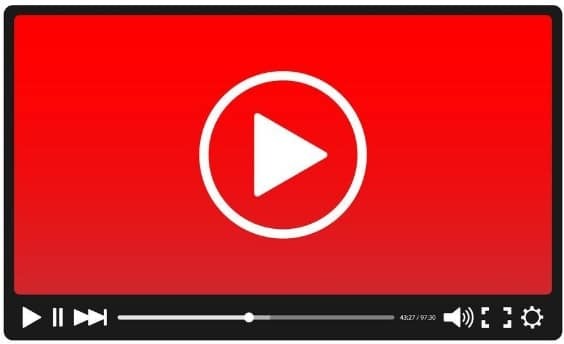 If you’re a video publisher, the most natural thing to do is upload your videos on Youtube and share them on social media or your personal site. However, if you want full control of your video content, then consider uploading all your videos on your WordPress site. Fair warning: the road to hosting your own videos is an arduous one. It is simpler to just upload the videos on Youtube or any video hosting site so you can focus on distributing the content to your target audience. But you’re still hellbent on hosting your videos from your site, then below are the steps you need to take. Since your videos will take up bulk of your hosting space, you need to subscribe to a tried and tested hosting provider that will offer you the power and support to keep your videos available to your audience. While we’re on the topic of using WordPress, you should strongly consider any of the WordPress hosting services featured in this post. A dedicated hosting for WordPress affords you more security and makes it easier for you to manage your backend. More importantly, WordPress hosting gives you more power and juice to handle the videos you will upload. To feature videos on your posts and pages conveniently, you must use a self-hosted video plugin. There are two plugins that rise to the top of the heap: VideoPress and Easy Video Player. VideoPress is part of the JetPack plugin developed by Automattic, the same makers of WordPress. Aside from being lightweight and responsive, videos that run through VideoPress are unbranded and don’t have annoying ads showing on them. Also, you can track and measure the views of your videos to see which ones are attracting the most views and which ones aren’t. them such as autoplay, loop, muted enabled, and a whole lot more. When uploading a video on Youtube, you can play it on any browser or device without any hassle. However, when hosting it on your site, you will run into issues getting the video to work properly. If you uploaded a single format for your video and it doesn’t play on a specific browser or device, it’s because the format is not supported by any of these. Therefore, you need to encode your videos to different formats (MP4, Ogg, WebM, etc.) to ensure that the video will work regardless of the device and browser used to view it. If you have no idea on how to convert videos, then this quick guide at How-To Geek will show you how it’s done using the HandBrake software. Also, consider the location of your target audience. If they live away from where your hosting servers are located, then they may find it difficult to view your videos due to lag time. To counter this problem, you need to compress your videos by decreasing their file sizes without compromising quality. Assuming that you’ve downloaded Handbrake already, here’s another nifty guide, this time from Engage Media, on how to compress your videos using the same tool. Once you have set up all the tools needed to upload and play your videos from your site, you need to see for yourself if the videos do play smoothly on any device or browser before launching them to the public. Are your videos in different formats playing on all platforms? Is the quality of the videos up to par or do they need improvement? Also, you need to analyze how your chosen plugin shows the videos to your visitors. Does it improve the user experience? You need to iron out the kinks before you unleash a full promotion strategy on each of them so your videos will have a better impression to your audience. If you want to keep your videos within your site and not let video sharing sites get their hands on them, then you need to protect your videos from piracy. This is important for businesses who are running a premium membership site and use videos to share sensitive information. Since you are already using WordPress, you can use S3Flowshield, a WordPress plugin that generates encrypted dynamic keys to protect your content on the cloud from thieves. However, you should test this tool first before settling with it because it could cause problems with your videos playing on browsers. Hosting videos on your WordPress site is not an easy task. You need to be detail-oriented to ensure that the videos are working properly on your site and that they are protected at all times. This quick guide should help provide the way on how you can host videos and show them on your site so you won’t have to rely on third-party video sharing sites again.